So to Iblis (Satan/Shaytan/the accursed devil), there is an ultimate goal considered most beloved and pleasing to him. This is: breaking up between a husband and wife and creating disagreements between them. We find this manifested in many cases. Sometimes a husband won’t stand listening to his wife, he’ll even find her sound annoying and keeps thinking about her complaining all the time, and how she doesn’t appreciate him and how she isn’t feminine enough and and and… so he starts despising her and losing his temper with her. You may also find a wife that keeps thinking about how annoying her husband’s habits are, how disrespectful it is for him to leave those dishes at the sink …every.single.time! How he doesn’t listen to her attentively when she speaks, how he isn’t like her friend’s husband who is a noble prince (in her imagination only, but he probably also leaves the dishes at the sink), how her husband is not like that dreamy actor from the movie and and and…. so she starts despising him and losing her temper with him. A small and almost insignificant issue could blast a major fight and disagreement between couples that last for days or even months. a) these are all from the works and tactics of Iblis and his followers. b) Iblis and his followers will surely attempt to create this disagreement between married couples. Why is Allah allowing this? To test us. Because we are here to be tested. Success is not through having the perfectly smooth marriage with no problems at all. Success is when couples learn how to discipline themselves, have patience, get over their egos and masterfully compromise for the sake of peace and mercy and tranquility in their hearts and their lives. And Allah will test who will follow His guidance and who will follow the whispers of Iblis. 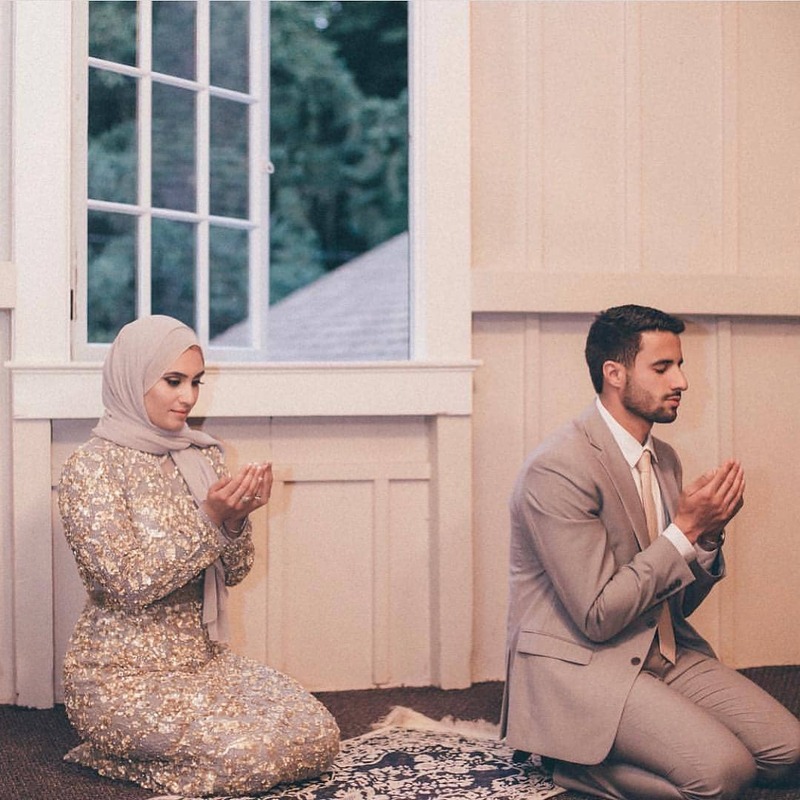 c) by not immuning themselves and taking the necessary means to prevent disagreements from happening or escalating, couples are allowing Iblis to achieve his purpose and win over them. Now, we need to remember that what the noble Prophet teaches us is wahy (revelation) from above seven heavens; from The Most High Himself. And this revelation is mercy. It is mercy because it’s like an open book exam. We get to know the problem and we get to know the solution as well; we just have to follow. There is a very important message here. Unity is power. The unity of the ummah would be a major source of power. The first step to weaken the ummah is to weaken and break family ties, create disagreements between husbands and wives and then disagreements between family members. When one is having a disagreement at home, do you think he/she will be in a good mood to deal with others peacefully outside of the home? Probably not. Frustration will impact everything else and lead to more corruption. More disagreements and fights outside of the home will probably occur as well. When the footsteps of Satan are followed, then the purpose of marriage gets revoked. How so? The purpose of the marriage is to find tranquility, peace, affection and mercy. The opposite of that is when home starts becoming a battlefield of hate, tension and discomfort. Satan is highly interested in slowly but surely breaking up the family because the family is the foundation of the ummah and a strong united family will lead to a strongly united ummah. So what do we do with an enemy? We keep an open eye. We learn his techniques and be wary of them. We shield ourselves with strong fortresses. We don’t become heedless or let go of our weapons lest he attacks. We make sure we have strong weapons to strike back when necessary. All of the above could be applied to the Satan situation. 1- Remember that by seeking the help of Allah, nothing could overpower you. There is no one and nothing that overpowers Allah Almighty. Satan strikes when we are heedless and unaware, but when we are immune by the remembrance of Allah, then Satan can never overpower that. 2- Make sure to recite Surat Al Baqarah at home. It has a very strong and powerful effect on attaining inner peace and peace at home as well. 4- Recite the adhkar on a daily basis. Have a copy of the “Fortress of the Muslim” and read the morning and evening adhkar because they do shield and protect you from different types of harm. Neglecting them for a day or two or more definitely breaks this shield and makes you more vulnerable to evil attacks of all sorts. “Recite Surat Al-Ikhlas and Al- Mu’awwidhatain (Surat Al-Falaq and Surat An-Nas) three times at dawn and dusk. It will suffice you in all respects.” [Abu Dawud and At-Tirmidhi]. The Prophet SAW used to seek Refuge with Allah for Al-Hasan and Al-Husain and say: “Your forefather (i.e. Abraham) used to seek Refuge with Allah for Ishmael and Isaac by reciting the following: ‘O Allah! I seek Refuge with Your Perfect Words from every devil and from poisonous pests and from every evil, harmful, envious eye.’ ” [Sahih Al Bukhari]. These are just a few of the ocean of knowledge, light, healingand therapy that the Prophet taught us. Learning and maintaining this will contribute significantly- with the will of Allah- to bringing back peace and maintaining peace in your hearts and homes. There is nothing that frustrates Satan as the constant remembrance of Allah Almighty, your reliance on Him, and you seeking Him and His Protection. So empower yourself with that and don’t put down your armor. Reading and listening to the Qur’an regularly will put matters in perspective and bring peace. Let this be part of your daily routine and engage in it with your spouse. Recite adhkar together and remind each other to recite adhkar. Don’t allow Satan to inflict your ego or let you create negative hateful imaginary scenarios in your head and heart about your spouse. Don’t let him and don’t follow those whispers. Seek Allah and His Protection and He will guide you and descend peace upon you.